Feature (to 28 SEP 2019): Property in a two-family property. Feature (from 28 SEP 2019): Property in a two-family property. country cottage. Furnishing (from 28 SEP 2019): good, pleasing, laminate floor. Furnishing (to 28 SEP 2019): good, pleasing. Please note: Owner lives on the ground floor. apartment, 6 people, 5 room/s, 4 bedroom/s, 2 bathroom/s, approx. 100 m², 1 floor/s, apartment on floor 1. Bedroom 1 (from 28 SEP 2019): double bed, exit to balcony. Bedroom 1 (to 28 SEP 2019): double bed. Bedroom 2 (to 28 SEP 2019): (small room): double sofa bed as supplementary bed (see extra charges). Bedroom 2 (from 28 SEP 2019): (small room): double sofa bed. Bedroom 2: Additional information: direct access to bedroom no 3, direct access to bedroom no 4. Bedroom 3: double bed, seating accommodation, exit to balcony. Important information (from 28 SEP 2019): maximum occupancy 6 people. Kitchen: Kitchen/ cooking equipment: 4 ceramic hobs, oven, dish-washer, refrigerator, coffee machine. separate. Living room: furniture suite, tiled stove, exit to balcony. Important information (from 28 SEP 2019): Ski bus connection from approx. Christmas until mid-April. Infrastructure (to 28 SEP 2019): bakery service. 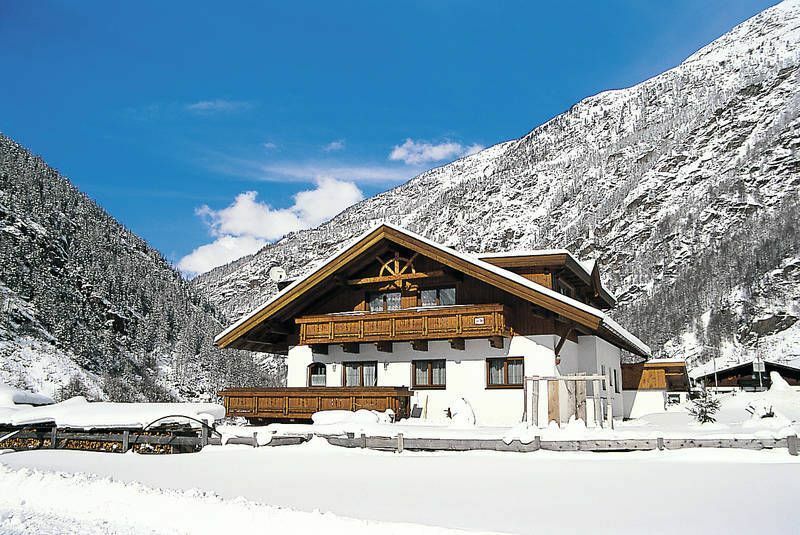 Infrastructure (from 28 SEP 2019): bakery service; Ski/skiboot storage room (ski boot dryer, heated). Situation: in the district Zwieselstein, rural. Cable car (from 28 SEP 2019): Gaislachkoglbahn, in approx. 3.5 km. Cable car (to 28 SEP 2019): Gaislachkoglbahn, in approx. 4 km. Cross-country skiing trail (from 28 SEP 2019): in approx. 50 m.
Next village/town: Center Sölden in approx. 4 km. Innsbruck in approx. 90 km. Zwieselstein in approx. 350 m.
Public swimming pool: Indoor public swimming pool in approx. 5.5 km (FreizeitArena Sölden). Shopping: Next shopping possibility (Sölden) in approx. 3 km. Next supermarket (Sölden) in approx. 3 km. Ski bus stop (from 28 SEP 2019): (free shuttle bus) in approx. 10 m (Zwieselstein - Sölden - Gurgl). Ski run (from 28 SEP 2019): Gaislachkoglbahn in approx. 3.5 km. Untergurgl/Pill in approx. 6 km. Wir wurden sehr herzlich von unseren Vermietern empfangen und fanden eine sehr großzügige, super ausgestattete Ferienwohnung vor. Standort ist perfekt zur Erkundung des Ötztals und auch mal einen Abstecher nach Südtirol. Haben uns sehr wohl gefühlt und wollen gerne nochmal wiederkommen.